At California Fresh Catering, passionate about food is not just our motto it is what drives us every day. 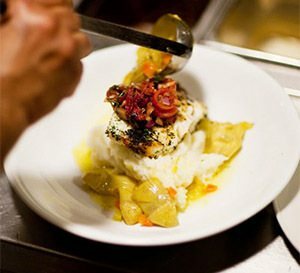 Inspired menus, the freshest ingredients, and chef-crafted food with a true commitment to scratch cooking is what sets us apart. Time and time again we receive praise for our innovative cuisine. We love hearing that our guests are still talking about our food even months after the event. 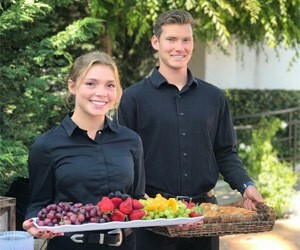 Allow us to serve you and experience the California Fresh difference. California Fresh is committed to transforming your vision into reality. 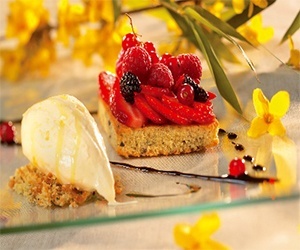 Unlike many caterers we don’t provide group tastings with a preselected menu. Our intimate tastings are designed around getting to know you. Learning your likes & dislikes and awakening your palate. 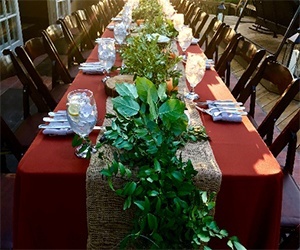 Your event planner and a personal chef will be with you through the entire process from choosing your entree to selecting complementary sides and appetizers, to perfecting your entire meal. We believe that although the planning process is sometimes daunting, this is an opportunity for you & your loved ones to relax, take a breath & truly enjoy yourselves. Let us provide the one on one attention you deserve. At California Fresh Catering, our all-star team has been handpicked with you in mind. Professional and Highly trained, we pride ourselves on excellent guest satisfaction, gracious service and thoughtful attention to detail. Our glass is always full! 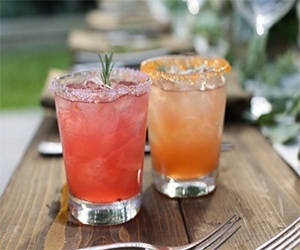 From designing a signature cocktail for your event to seeking out that elusive special vintage, we strive to set a new standard for customer service & provide innovative solutions for your event. Each event is as unique as our clients. A presentation is everything and our staff is here to help you with the perfect design. We love to show our creativity. Whether designing a full decor package or unique tablescapes, let us bring your style to life.